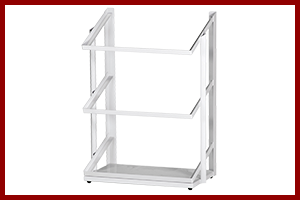 Produce Carts & Stands / Counter Display Rack - G.A. 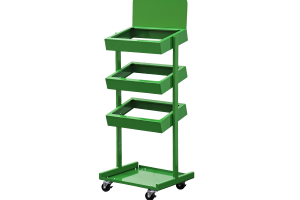 Systems, Inc.
Produce Stand, Produce Cart and Counter Display Racks allow you to display your fresh produce without taking up space in your serving line. A perfect solution to displaying fresh fruits and vegetables. 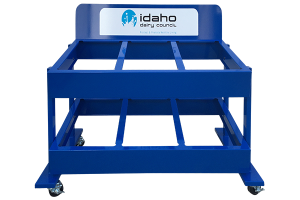 Additional space needed to display and serve fresh produce or dry goods. 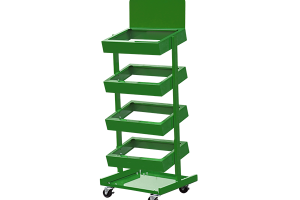 They are colorful, eye catching and the Produce Carts and Produce Stands are mobile. Customized colors and graphics help promote your brand or school mascot. They can even be used for sporks and condiments.